Sports Bounce Rentals | Renting a Sports Themed Bounce House | The Inflatable Fun Co. 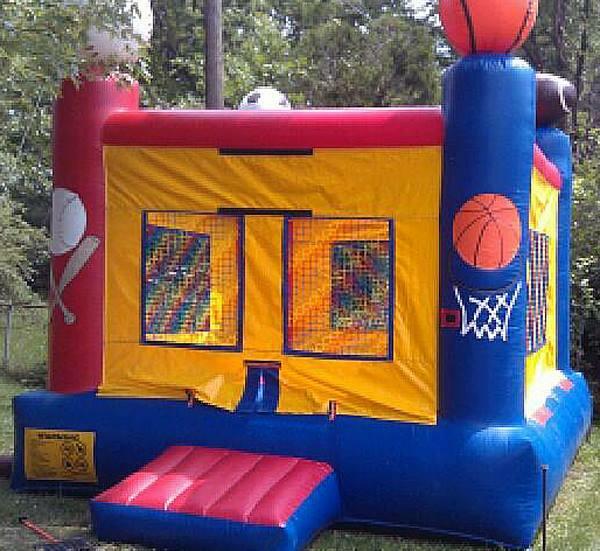 This Sports Bouncer is perfect for your little athletes. Basketball, Baseball, Football, and Soccer are all represented.